Soil & Site: Choose a well-drained location in full sun. Strawberries are shallow-rooted and grow best in sandy loam soils, which drain well, are well-supplied with humus and have a pH between 6.0 and 6.5. Clay soils drain poorly and are harder to manage but can be improved by adding organic matter. Leaves, chopped straw, compost, rotted sawdust or grass clippings can be used to improve soil structure. Manure applied at 2 to 3 bushels/100 square feet is a good source of organic matter. Apply the organic matter in the fall. Dig, rototill or plow it into the soil then so the material will be well decomposed by planting time in early spring. In the year previous to planting, destroy all perennial weeds. Take a soil test several months in advance. If nematodes are a likely problem, submit a soil sample for a nematode assay. If sting nematodes are present, do not plant strawberries in that area. Strawberries are resistant to the Southern root-knot nematode. Fertilization: Before planting, follow the recommendations of a soil test. If no test is taken, broadcast about 4 pounds of 10-10-10 fertilizer for each 100 feet of row two to three weeks before planting. Till the soil and smooth the bed. A topdress application of ammonium nitrate (33-0-0) at 1½ pounds per 100 feet of row should be made from mid-August to mid-September. Always apply fertilizer to the plants when the foliage is dry and sweep the plants with a broom or leaf rake immediately following the application. In late winter of the second and subsequent years, broadcast 4 pounds of 10-10-10 fertilizer over the bed. Planting: Because of diseases, two very different production systems are used in South Carolina. In the matted row system, the plants are set out one spring and fruited the next. This system works best in the upper part of South Carolina, where production may continue for several years. In the Sandhills and Coastal Plains, the annual hill system is preferred because anthracnose disease usually destroys the matted row plantings before they produce fruit. In this system, plants are set out in the fall and fruited the next spring. The planting is usually discarded after the crop is harvested. The matted row system can be used in the Sandhills and Coastal Plain providing one only plants anthracnose resistant varieties. ‘Sweet Charlie’ is resistant, while ‘Chandler’ is very susceptible to anthracnose. Matted Row System (low input): The matted row system involves planting the mother plants 2 feet apart the first spring then letting runners fill the bed the first summer. 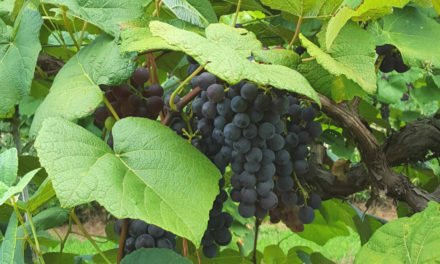 The flowers are removed the first year, so no fruit is produced until the second year. Annual Hill System (high input): In the central and coastal regions of South Carolina (and during normal winters in western South Carolina) strawberry plants can be set in the fall and harvested the next spring. This reduces the danger of diseases destroying the crop. The Chandler variety is by far the best for the hill system but other varieties will produce fair results. Plants are set 12 inches apart in the row and 12 inches apart between rows on beds that contain two rows. The beds should be 6 inches high at the shoulder and 8 inches high in the center and 26 inches wide. An aisle 22 inches wide between beds should be provided as a place to walk. September 15 to November 15 in the Coastal Plain (usually, October is the best month). Freshly dug plants are planted and watered intensively for the first week after planting. Potted plants can also be used and require less watering to establish. If the planting is anthracnose disease-free, it may live for several years and be managed as a matted row system. Cut holes in the plastic to allow the runners to peg down. When transplanting in the spring, the temperature should be 40 to 50 ºF; a spring frost generally will not harm new strawberry plants. If the plants arrive early and cannot be planted immediately, store them in a refrigerator. When soil moisture conditions are ideal for planting, lay off two rows that are 4 feet apart. Each of the rows should be 2 feet from the edge of the bed. Set the plants 2 feet apart in the rows at the correct depth so the base of the crown is at soil level. Press the soil firmly around the roots and water them in. If new plants appear light green and do not grow well, sidedress with nitrogen about one month after planting. Apply 1½ pounds of ammonium- or calcium-nitrate (33-0-0) or 0.5 pounds of actual nitrogen per 100 linear feet of row. A couple of weeks after the new plants begin to grow, flowers will appear. Remove these flowers in the spring of the first year. This improves establishment and channels food reserves into the production of vigorous runners. During the summer of establishment, allow the strawberry runners to develop to form the matted row. In late August, September and early October when fruit buds are forming for the next season’s crop. If rainfall is insufficient during these times, then water the plantings on a weekly basis to wet the soil to a depth of 6 to 8 inches. Weeding & Mulching: During the growing season, control weeds by mulching and handpulling. Mulching, handpulling, hoeing and tilling are the best means of control in a small planting. If the planting is vigorous, you will probably have to cut runners that grow into the aisle. During the winter and spring months, periodically check the planting for the development of winter weeds that should be removed. In late winter mulch the bed with a 1- to 2- inch layer of straw (wheat, oat, rye, pine). One bale will cover 100 square feet. Do not use grass clippings because they will smother the strawberry plants. Remove the straw in the spring when there are signs of new growth. Rake most of the needles off the tops of the plants. The strawberry plants will grow up through the needles, which will help keep the berries from getting soiled. A good layer of mulch prevents bitter rot and hard rot and slows anthracnose spread in addition to keeping the berries clean. Renovation or Renewing the Planting: Matted row strawberry plantings may bear fruit for more than one season, and may be kept for two or possibly three to four fruiting seasons if properly renovated. The main purpose of renovation is to keep plants from becoming too crowded in beds. Do not attempt to renew strawberry beds infested with weeds, diseases or insects; it is better to set a new planting. Broadcast 3 to 4 pounds of a complete fertilizer (10-10-10) or about 1½ pounds of ammonium nitrate (33-0-0) per 100 feet of row. Mow off the leaves, rake away from plants and dispose of them (take your rotary lawn mower and mow over top of bed, setting blade about 4 inches). Avoid damaging the crowns. Cut back rows with a cultivator, rototiller or hoe to a strip 12 to 18 inches wide. Thin the plants leaving only the most healthy and vigorous. Plants should be about 6 inches apart in all directions. Care After Renovation: Be sure to keep the bed free of weeds and irrigate if rainfall is insufficient. Strawberries need 1 to 1½ inches of water per week. Older beds should receive 1½ to 2 pounds of ammonium nitrate per 100 feet of row sometime between mid August and mid September. Remember to apply it when the foliage is dry, and sweep the leaves free of fertilizer. By late September the matted rows should again be 2 feet wide. Be sure to remove plants that grew into the aisles in late summer. Strawberry harvest begins in the latter part of April in the Sandhills and Coastal plains, early May in the Piedmont, and late May in the mountains. You should pick strawberries every other day or three times a week. Pick the fruit with about one-quarter of the stem attached. The best time to pick is in early morning when berries are still cool. Not all berries ripen at the same time; pick only those which are fully red. Because there is not much food available for birds when strawberries ripen, birds can be a serious problem. The most effective method to keep them from getting most of the fruit is to cover the planting with bird netting. The net will have to be anchored all the way around the planting, otherwise the birds will walk under it. To anchor the net, place 6- to 8-inch stakes around the planting every 2 feet. Angle the stakes out away from the rows so that the net can be hooked over the stakes. This will keep the edge of the net close to the ground and keep the birds from getting under the net. It takes only a few minutes to remove the net for picking and to replace it after you are through. Strawberries are produced in South Carolina by home gardeners as a perennial crop. Anthracnose, root-knot nematode, Pythium, Rhizoctonia root and crown rot, Mycosphaerella and Diplocarpon leaf spots, and Botrytis fruit rot are threatening problems for homeowners. Rhizoctonia Root & Crown Rot: The root rot phase of this disease is favored by cool weather while the crown rot is worse during hot weather. Plants typically collapse just as fruiting starts. Bottoms of leaves are purple and curl up. The original crown is killed, and numerous side crowns may develop. This disease can be prevented by crop rotation with grass crops. The disease may be introduced with plants obtained from friends or an unknown source. Therefore, it is important to purchase disease-free plants from a reputable nursery. Red Stele Root Rot or Phytophthora Root Rot: The fungi Phytophthora fragariae and P. cactorum cause this major disease. Plants with severe root rot are often stunted and they may wilt in hot weather. Little or no fruit is produced and plants eventually may die. The most characteristic root symptom is a reddish discoloration of the stele (core). To minimize the risk of red stele, plant resistant cultivars or certified disease-free plants and avoid low, wet sites. Phomopsis Leaf Blight: Phomopsis leaf spot has become increasingly important in South Carolina in recent years. The disease starts to develop in the fall or spring shortly after planting. It spreads rapidly and can kill much of the foliage. It remains active as long as there is green foliage on the plants. If plants become dormant in the winter, the disease will start again in the spring. Early symptoms are one-six circular, red to purple spots on leaflets. Spots enlarge and develop grey centers. Older spots along veins develop into large V-shaped lesions. Fruit and calyx infection also occurs. The fungus survives in dead leaves attached to the plants. Fungicides should be applied when new growth starts and continued in the spring where the disease is a problem. Fruit infection is prevented by controlling foliar infection. Botrytis Fruit Rot: Botrytis fruit rot is the most common and important fruit disease in South Carolina. While rot can start on any part of the fruit, it usually starts on the calyx end or the side of fruits touching infected fruits. Affected fruit becomes light brown. The fungus can also invade all other plant parts. Survival of the fungus occurs in infected tissue and in small, oval, black sclerotia on the ground or plants. It germinates in the spring when bloom starts and infects bloom parts. From these it moves into the fruit and may rot it immediately, or be dormant until the fruit ripens. The disease is most severe in wet weather. The key to control is preventing fall infection of winter leaves, removal of dying leaves in late winter before the addition of mulch and protection of the blooms with a fungicide. Several organic growers actually vacuum up dead leaves using shop vacuum cleaners. 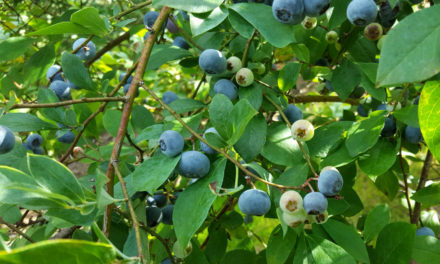 Using strict sanitation, organic growers have successfully produced berries without using fungicides. Angular Leaf Spot: This leaf spot bacterium survives in dead plant tissue. The disease starts as small, angular, water-soaked spots on the bottom of the leaves. Spots enlarge but are limited by the veins. Spots are translucent when viewed with transmitted light but dark green when viewed with reflected light. Spots coalesce to cover large portions of the leaf and appear as irregular reddish brown spots on the top of the leaf. Heavily infected leaves usually die. The disease is favored by wet weather with day temperatures of 70 ºF and night temperatures near or below freezing. The disease usually stops as temperatures rise in the spring. There is no chemical control for this disease. If the bacteria are introduced, use crop rotation. One year is sufficient. Leaf Spot & Leaf Scorch: Leaf spot and leaf scorch, caused by the fungi Mycosphaerella fragariae and Diplocarpon earliana, respectively, cause about the same type of damage and are spread in a similar manner. The spores of each fungus are usually brought into a field on new plants or spread to new areas by insects, birds or farm equipment. Both fungi survive the winter on infected plants. Leaf spot shows up first on the upper leaf surface as a tiny, round purple spot about one-eighth inch in diameter. At first, the whole spot is purple. Later, the center of the spot becomes gray and then almost white. The border remains purple. Leaf scorch forms small, dark purple spots on upper leaf surfaces. These spots remain dark purple. A white center is never formed as with leaf spot. The spots have an irregular outline. When numerous, the spots run together and leaves appear to be scorched. The loss of foliage due to these two diseases can stunt the entire plant. Severely infected plants may die. During early spring rains, spores from just a few diseased plants can multiply and spread through an entire planting. Anthracnose: The fungi causing anthracnose infect stolons, petioles, crowns, fruit and leaves. Small dark lesions appear on stolons and petioles in the summer and girdle them, killing the leaves and unrooted daughter plants. The fungus grows from the infected petioles and stolons into the crown of the plant, causing a reddish-brown firm rot and the plants wilt and die. The fungus causes round, brown, firm sunken spots on fruit. Normally, death of plants occurs the year after infection occurs. Buying disease-free plants is the best control measure. Once the disease is present, strict sanitation (removal of diseased plant material), mulching and spraying fungicides every five to seven days can result in a 50- to 70-percent harvest. Sting Nematodes: The sting nematode is the most common nematode attacking strawberries in South Carolina. Injured plants appear stunted and produce little fruit. There is no chemical control available to homeowners to control nematodes. It is best not to plant in areas where the sting nematode is present. For a list of recommended strawberry varieties for South Carolina, refer to HGIC 1404, Strawberry Types.